The M400 Midwheeler is no different from our other models, it is mixing function with quality and a clean, sleek design. A turning radius of just 500mm to operate in smaller spaces. With a maximum speed of 12 km/h if it is a fast chair you want. New interchangeable components that protect the surfaces that are particularly vulnerable, plus simple service without any special tools. As with the base, history also serves as a backdrop for Permobil’s new Corpus 3G seating system. Developed in conjunction with the original Corpus designer–world-renowned Swedish seating expert Bengt Engström. The Corpus 3G uses Engström’s concept of Interactive Counter Pressures as a blueprint. Incorporating the latest in ergonomic design as well as electrical and mechanical technology, the M400 Corpus 3G fuses form and function. 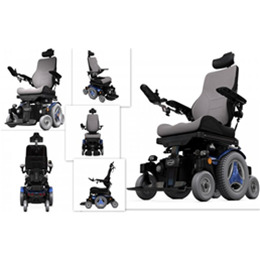 The Climbing and Traction System connects the drive wheels and casters and performs multiple functions, providing overall stability especially while climbing obstacles and traversing various surfaces. 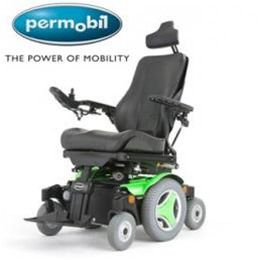 The M400 Mid-Wheel Drive mirrors other Permobil chairs in its clean design and proven performance. Compact size - With its compact size, the M400 has a tight 500mm turning radius.Speed - The M400 comes with PG 120 amp R-Net electronics and offers a maximum speed of 12 km/h.